What new entrepreneurial innovations can we look forward to in 2016? If the winners and finalists of ‘Will This Float?’ have their way, expect to see a lot more activity in the realm of music and entertainment. 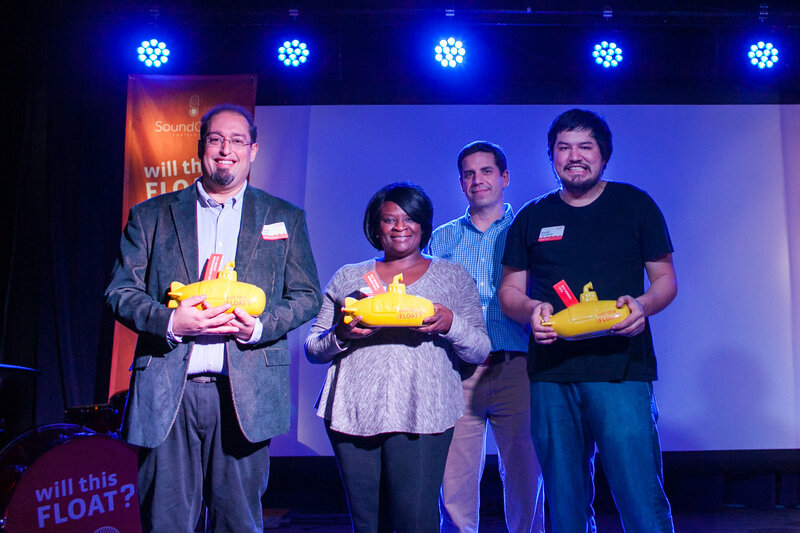 This December, we invited entrepreneurs from across the region to throw down their newest startup ideas for a chance to win cash and biz resources at our annual pitch competition. We also asked them to turn up the volume on projects in Music & Entertainment – our theme for WTF 2015. Why Music & Entertainment? For starters, these areas hinge on creativity, an essential driver of business innovation and entrepreneurial thinking. 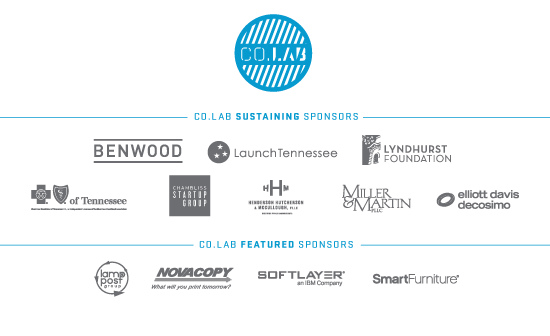 CO.LAB originally grew out of a project designed to fuse them, called CreateHere. Musicians and entertainers are artists, so our theme is a throwback to our roots. Right now, we’re seeing a lot of energy swelling up around Chattanooga’s entertainment sector. New venues are opening, like Revelry Room, where we held our event. And with the launch of SoundCorps, a new nonprofit devoted to growing the music economy in Chattanooga, new resources are on the way to help music industry professionals grow their businesses. We believe this space is ripe for entrepreneurial activity, especially as technologies like 4K video and gigabit networks enlarge the creative terrain. So what might music and entertainment look like in Chattanooga’s future? 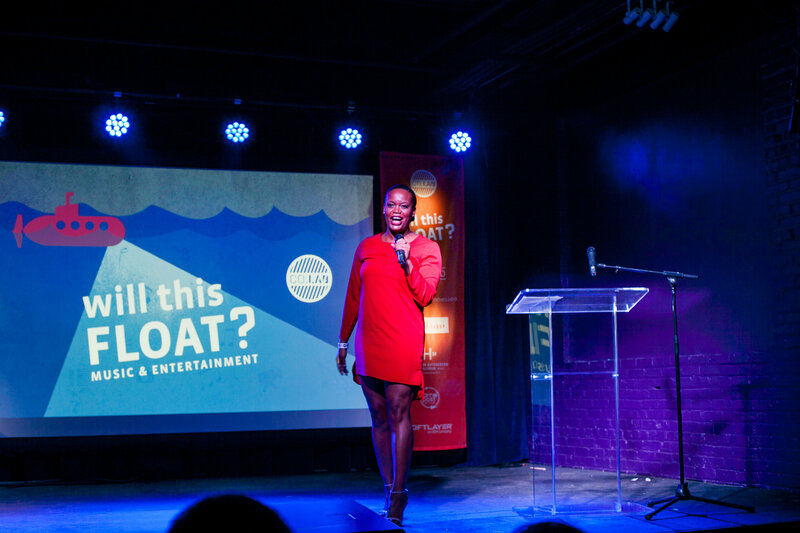 On stage at ‘Will This Float?’ six entrepreneurs showcased ideas already in the works – 3D printed instruments, an artist-powered streaming app, and a new multi-media radio show, to name a few. But that’s not all. We also opened the competition up to entrepreneurs of every variety. Aside from music and entertainment, Chattanooga has several other exciting new businesses to watch in 2016. The standout, and one of our three winners, was CPR Lifewrap, which makes administering CPR easier and less intimidating for people with little to no experience using the technique. We also heard from entrepreneurs working to bring the local farmer’s market to your doorstep, customized meal packages to long-distance hikers, and restaurant wait times to hungry professionals. 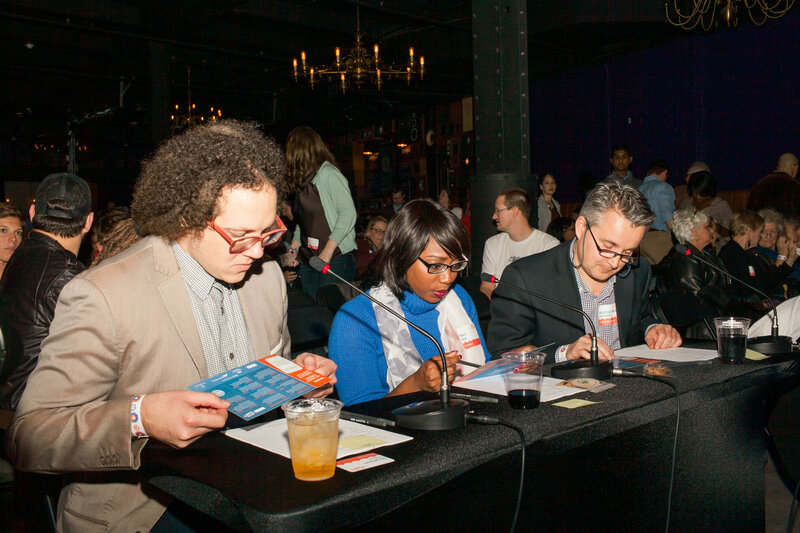 All in all, we were more than impressed with the creativity at work among this year’s WTF contestants. We hope you’ll join us in wishing them luck, offering your support and watching them evolve in 2016. Check out the full breakdown of their ideas below, along with a few other tidbits about the event. undaground is a streaming application that gives local music lovers inside access to Chattanooga’s music scene and many of the most prominent figures within it. This artist-powered platform will derive content from a team of dedicated tastemakers whose selections will be accessible round-the-clock. Entertainment will include live musical performances and studio sessions, as well as interviews and perspectives on the art of making music, life on the road, favorite artists, musical influences and other topics of interest to local music fans. For listeners, undaground offers an exciting way to discover new music delivered straight from the local scene, to learn about the bands and performers local artists are following, and to get notifications on local performances and other activity in the broader Chattanooga music community. Southside Strings is musical instrument maker that creates high-quality instruments using 3D modeling and CNC woodworking technologies. These tools allow the company to simplify components of the assembly process and improve the instrument’s overall sound resonance. In addition, this process expands the variety of wood options, finishing choices, sound hole shapes, body sizes, and body shapes available to consumers. The customizable nature of these instruments not only accommodates customers’ individual sound and style preferences, it also makes owning a unique musical instrument affordable to a larger number of people. The CPR Lifewrap is a durable, plastic support product that provides simple CPR instructions for people with little or no CPR training. This torso-shaped chest covering features embossed hand placements and simple set of instructions for applying CPR, as well as an attached mouth barrier and one-way valve to facilitate the execution of the technique. In addition to making CPR less intimidating for those who must perform it, the CPR Lifewrap also protects users from infectious contaminants. 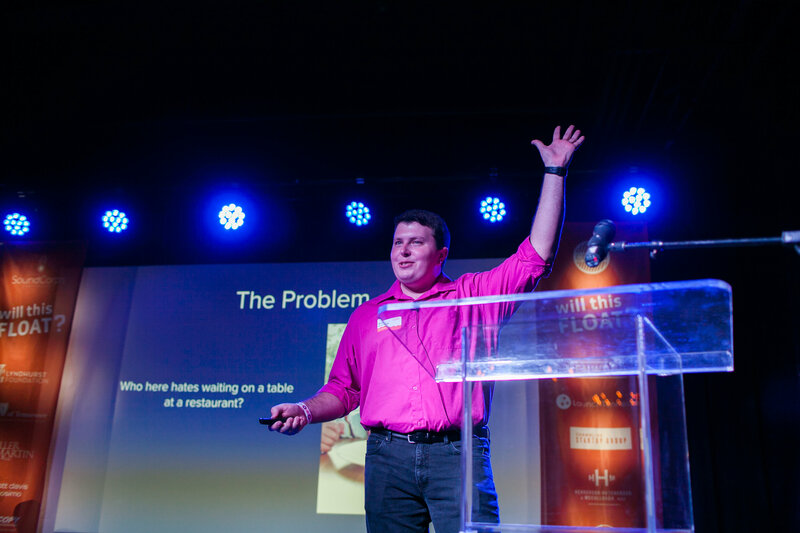 Get Seated is a mobile app that lists participating restaurant wait times for young professionals. Utilizing patent-pending technology, the platform allows users to make educated decisions about where to grab a quick bite to eat. TrailDrops is an outdoor nutrition company that provides serious trail hikers with customized meal packages for food resupply on long-distance backpacking trips. The meals are lightweight and compact, but very high in calories, fat, and protein. TrailDrops ensures that hikers’ nutritional needs are met and also alleviates the need for friends and family to mail food packages to hikers on long treks. Weekly Fig is a local online farmers market that specializes in home delivery and meal planning, enabling customers to save time on grocery shopping and researching recipes. Customers can subscribe to the service online to receive deliveries of local fruits and vegetables, samples of artisanal products, and other market needs. Options include but are not limited to meats, dairy, eggs, preserves, ferments, snacks, spices, flowers, and variety of bath and body products. RadAR is an augmented reality platform that helps venues promote their music and allows users to find new artists and upcoming concerts. In coordination with local venues and musicians, RadAR will add QR codes to promotional displays that concert-goers can scan with their phones to learn more about the featured artists, sample their music, receive suggestions for their fan base, participate in ticket giveaways and purchase tickets. River City Music Management is a music management and artist development agency that helps artists allocate their financial resources to improve their work and brand value. Through the company’s mobile app and Web portal, clients will receive individualized plans for meeting their business goals and making financially smart choices along the way. StoneOnAir is a new multi-media platform radio show that will focus on arts, music and entertainment in Chattanooga. This hour-long talk radio program will feature regular conversations with local artists as well as performances from area entertainers. The show will be available on a variety of multi-media platforms, including a dedicated YouTube channel, a podcast, the website and a downloadable app. XCeed Events is an event production company that works to amplify the presence of minority-based arts in the Chattanooga community. Established to serve the region’s growing Latino population and other cultural minorities, XCeed Events is working to produce high-quality events that facilitate racial integration, celebrate the arts and showcase the region’s diversity.